Winner takes all in this duel so get your Leia on and ewok out! 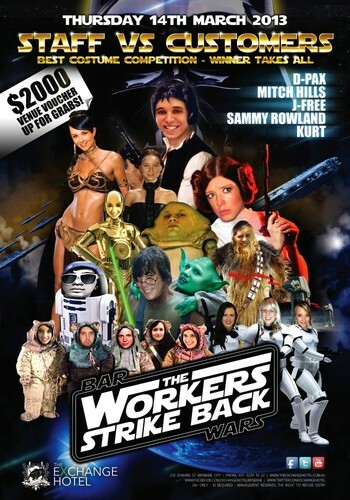 It's you vs the staff in this one of a kind costume comp! If patrons prevail, we give away a $2000 venue voucher, but don’t take this challenge lightly – our staff will be on their A game - they want that $2000 too! VIP listage available by using our iPhone app or Facebook tab.